Sunny with some cloudy spells today and cloudy at times tonight. Isolated showers or thunderstorms will occur mostly inland and in the north today, then a few showers and isolated thunderstorms mostly over the south and some coastal areas tonight. 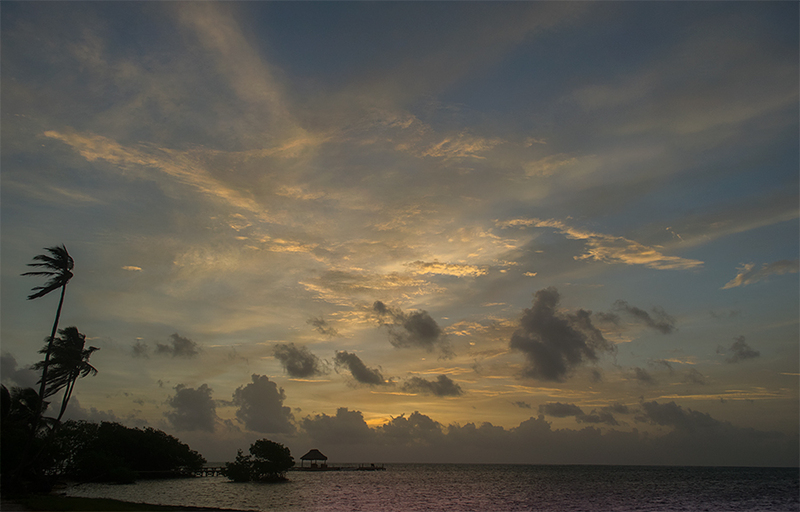 On Ambergris Caye this morning we have a wind from the Southeast at 14 mph. and a choppy sea state. 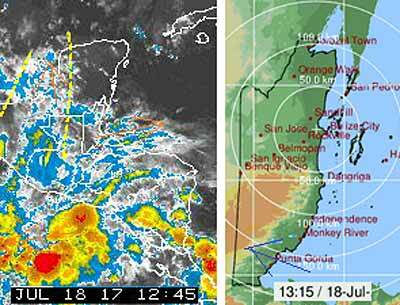 Our expected high is 88 f.
A large area of swell-up over Honduras last night, did cause some rain in southern Belize, leaving a few scattered showers in a number of places over Belize, but generally it is sunny skies, but white clouds have already formed over much of southern Belize and some high cloud further north. That tropical storm, now close to the west Indies, TS DON is still very small, and not expected to come to much. Looks like today will be largely sunny with white clouds developing, there could be the odd rain shower. 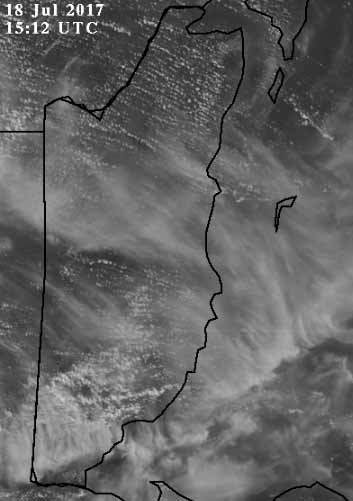 You can see the high cloud moving over Belize and spreading to the east. The low level easterly Caribbean winds already forming lines of white puffy clouds from the ESE. The small rain patches down south have all but cleared up now.